Received 2018 January 4; Accepted 2018 January 29. It was supported by the Division of Psychiatry at Geisinger Health System and Research Council Grant 2017–2018 from Rutgers University. 1. American Academy of Pediatrics. School health: policy and practice 7th edth ed. Elk Grove Village, IL: American Academy of Pediatrics; 2016. 2. Subcommittee on Attention-Deficit/Hyperactivity Disorder, ; Steering Committee on Quality Improvement and Management, Wolraich M, Brown L, Brown RT, DuPaul G, Earls M, Feldman HM, Ganiats TG, Kaplanek B, Meyer B, Perrin J, Pierce K, Reiff M, Stein MT, Visser S. ADHD: clinical practice guideline for the diagnosis, evaluation, and treatment of attention-deficit/hyperactivity disorder in children and adolescents. 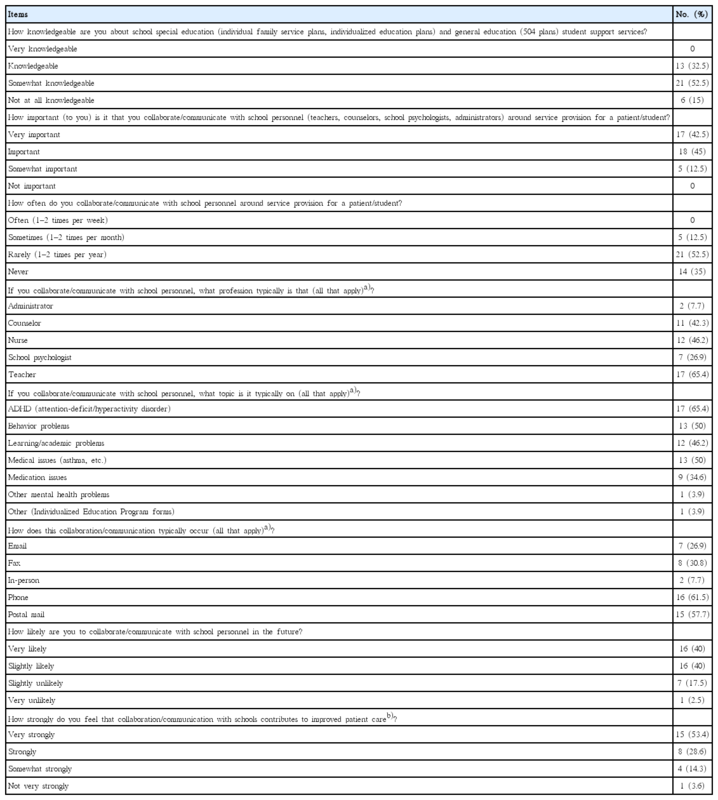 Pediatrics 2011;128:1007–1022. https://doi.org/10.1542/peds.2011-2654.